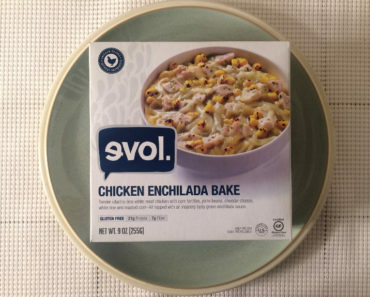 Evol is no stranger to the frozen breakfast market. Their lineup includes lightweight breakfast burritos and breakfast sandwiches. There was even a point when they were experimenting with breakfast scramble cups. 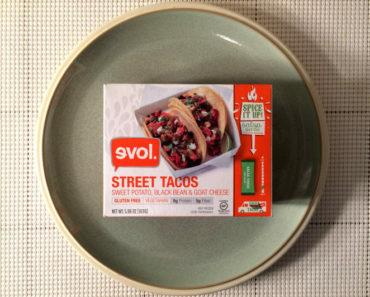 We’re not sure if they still carry those little breakfast cups, since we haven’t seen them around in a while, but we have noticed that Evol has been putting out some new breakfast bowls lately. 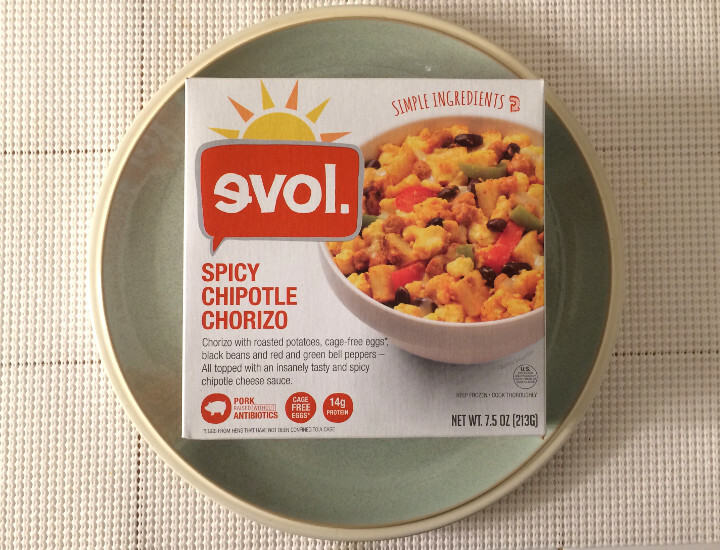 Today we’re trying out the Evol Spicy Chipotle Chorizo breakfast bowl. 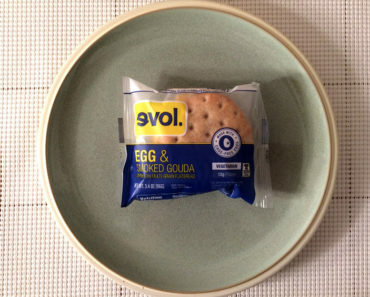 Now, the first thing we noticed about this dish is just how little food there actually is inside it. The bowl is only about a third of the way full. 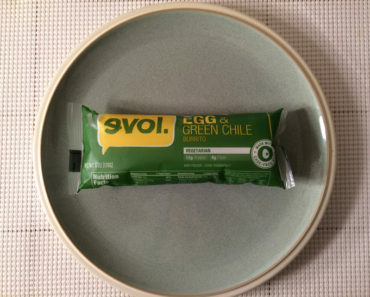 We’d actually say this is probably a similar amount of food to what was in those little breakfast cups Evol used to sell — perhaps there’s just a tad bit more in this breakfast bowl, but not much. The ingredient that suffers the most from the stingy portion size is the egg. The scrambled egg is actually very good, but we only found three or four chunks of it in our entire meal. There’s barely any chorizo as well. You might not even taste any of it, though you can see in our picture above that there are chorizo crumbles sprinkled on the top of the meal. 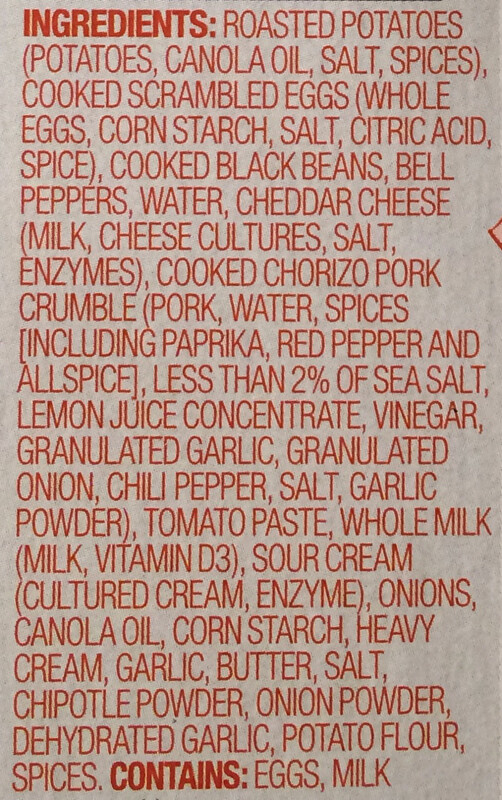 If you mix everything together, however, those chorizo bits virtually disappear. The ingredient that makes up the bulk of this meal is actually the roasted potatoes. We’re actually fine with that, as these potatoes taste great, and they make this more filling than it would have been otherwise. Then, there are a few black beans, as well as some red and green bell peppers to give it that Southwestern vibe. All of this is coated in a spicy chipotle sauce, which tastes great and lends a spiciness to every single bite. It doesn’t make this a super spicy meal, but we’d go as far as to call this a medium spice level. It clears out the sinuses a little bit. This is a nice, lightweight breakfast, weighing in at a measly 270 calories (120 from fat). It also contains no trans fat. 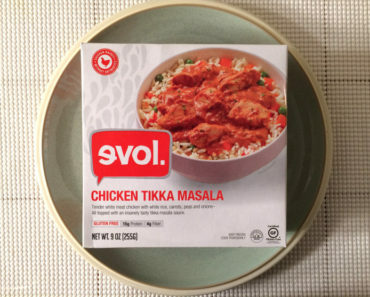 It does have 680 mg of sodium, however, which is about average for a frozen meal but still pretty high. 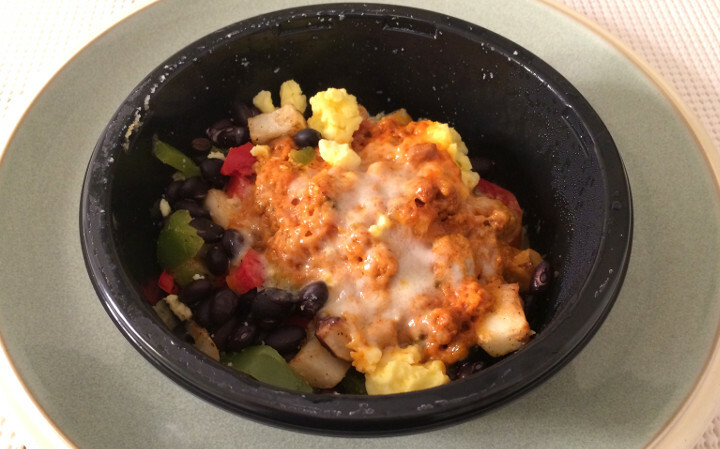 The Evol Spicy Chipotle Chorizo breakfast bowl doesn’t live up to its promises. It tastes fine, but we would have loved to see some more eggs and chorizo in this dish. The picture on the box makes this look like it’s filled to the brim with scrambled eggs, but if you take the bowl in the picture and remove virtually all of the eggs, you’ll end up with something much closer to what’s inside the box. 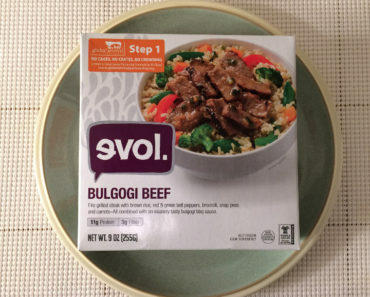 To learn more about the nutrition facts or ingredients in this Evol breakfast bowl, check out our package scans below.